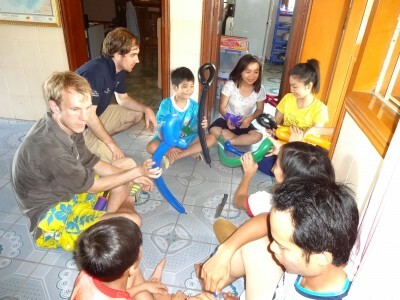 Day three arrived, and it was time to visit the third orphanage on our route: SOS Village. It was an impressive place to visit. It aimed to make a major difference to children’s lives, now and in the long-term. Home to 203 children, 103 of which were between kindergarten age and 18. 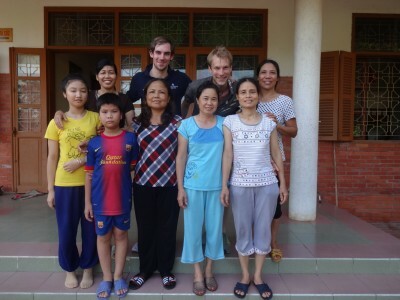 The additional 70 residents had progressed to university, and returned to SOS Village during school breaks. 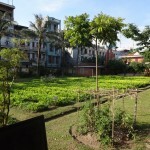 The 14 houses in the facility were arranged around a large grass garden in the middle of the orphanage. Similar to other orphanages we had visited, each house had a mother who would provide for the day-to-day needs of the children, and support them growing up. Responsible for around eight children, the adoptive mother took on the role for the long-term, carrying out the role of mum even after the child had entered adulthood and left the centre. One mum we met called Zen (above), had been a mother for eighteen children during her time at SOS Village, with nine children currently in her care, and an additional nine more who had progressed to the next stages in their lives, but whom still came back to the village to visit ‘mum’. A second mother we met, even had one of her ‘grown-up’ adoptive daughters returning to the village for a visit, as she had just got married and had her first child. These mums were definitely putting in more than the job description, creating a family environment for these orphans. As Sox’s and I were shown around the village, we came to a house where the children were being taught how to sow. Our guide around the village explain how the centre looked to teach the children skills (such as sowing) that would help them in their future’s lives, and prepare them for life when they leave the village. In addition the village also aimed to educate the children as much as possible, to give them the best chance to succeed in later life. One girl we met called Xia (age 13), although a bit shy, spoke almost fluent English and was described to be ‘exceptionally bright’. I was really inspired and impressed, by how much some of these children had achieved at such a young age. Our guide also informed us how the village kept in contact with the children after they had grown up and moved out of the village. The village would continue to offer support to it’s former residents. 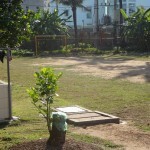 Furthermore the centre had a large play area for the children to use, as well as a football pitch and a volleyball court. 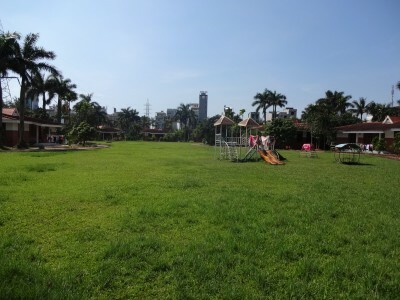 ‘Family time’ was also considered important by SOS Village, with an allotted time on Sundays for whole families to carry out the gardening together. 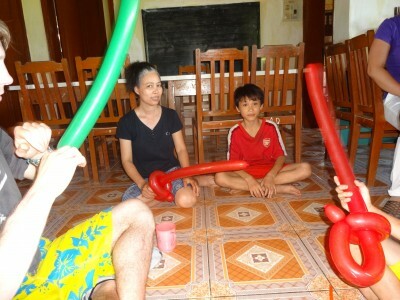 Whilst harvesting food and maintaining the house’s garden, the whole family could spend some time together. All of the above was hugely impressive. Not only did this centre look to provide food and shelter for these children, but it had aspirations to make a long-term difference to their lives. From the mothers’ lasting commitment, to providing the children with education and life skills, SOS Village was out to make a permanent difference to these children’s lives, through a combination of many different efforts. It was creating something far bigger than the sum of it’s parts- a happy life for it’s children, now and in the future. We visited each of the centre’s houses as we spent the afternoon at the orphanage, and met many of the children who lived there. As we visited each house, we entertained the children and mums, performed some tricks, played some games and made some laughter happen. It was a privilege to meet these children and the mothers, and we could tell from the smiles and laughter, we’d made a difference to these peoples’ days. 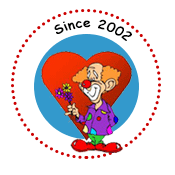 On Sox’s first adventure with CCI to Peru, one of his fellow (more-experience) clowns explained to him how clowning can make a long-term impact on a person’s life. Often when children are grown up, they still remember their clowning experience from when they were younger. It’s was not uncommon for a grown up child, to thank CCI clowns for the difference they made to them when they were a child. Hopefully too we had made a lasting difference to these children, like SOS Village was trying to do.It was amazing to think we could have made a difference to these children even for a day. 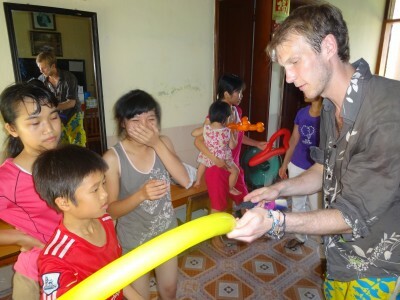 But hopefully, for some of the children we met on our travels, we’d made a long-term difference too. 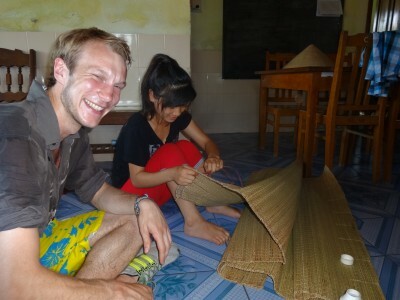 So much like SOS Village making such a difference, we hoped our trip could leave it’s own legacy too.